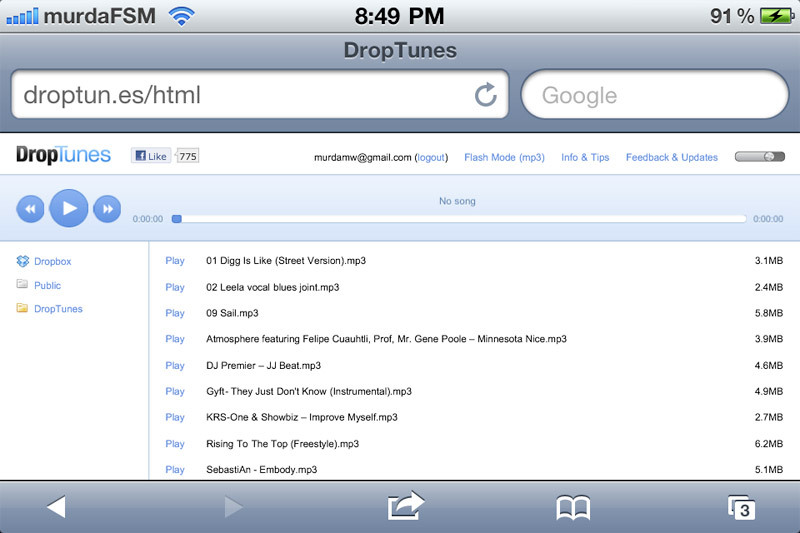 DropTunes: Dropbox Based Cloud Music Player - iPhone.MY - Daily News On Mac, iPhone, iPads, iPods and more! 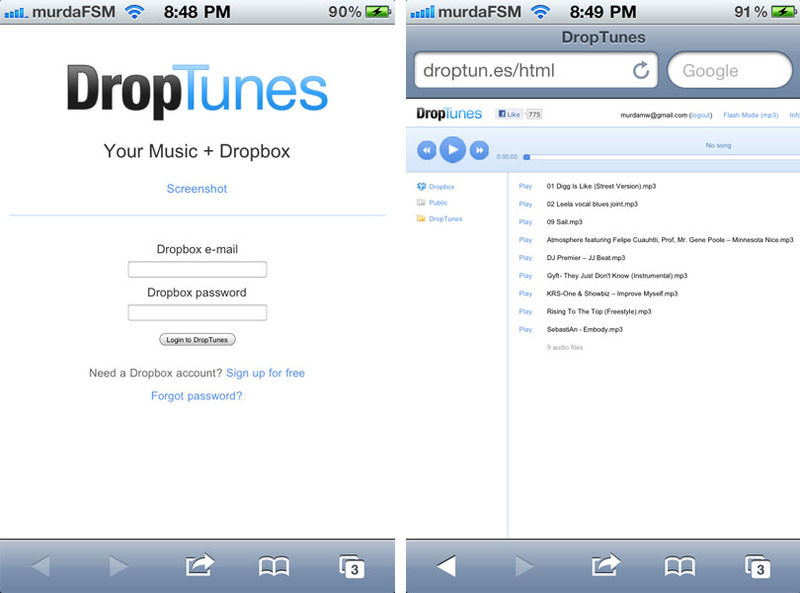 We all know and love DropBox, and today we’re going to show you another free way to make it even cooler: DropTunes. DropTunes is a free DropBox based cloud music player for us to use on our computers or iOS devices. It can’t get any easier than this: just grab your favorite songs, put them in a DropBox folder and anytime you’re on the go, and want to listen to those songs, just browse to droptun.es, login with your DropBox credentials and rock away. The cool thing is that DropTunes offers a HTML 5 version of their service, so that we can use it wherever we are via our iOS devices. Another cool thing is that, you can play ( simultaneously ) any song in your DropBox folder from multiple devices ( computers and iOS devices ). Check it out, and enjoy…. iPhone 5 delay merely an excuse to push the iPhone 4?